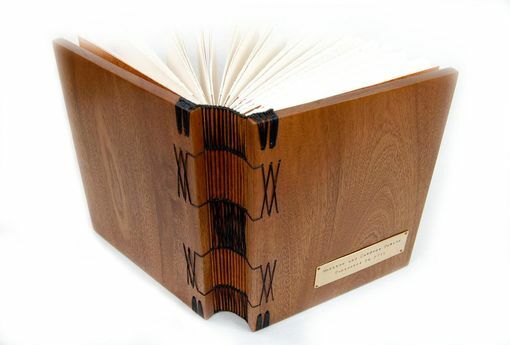 The pictures show a unique and elegant guest book with mahogany covers. 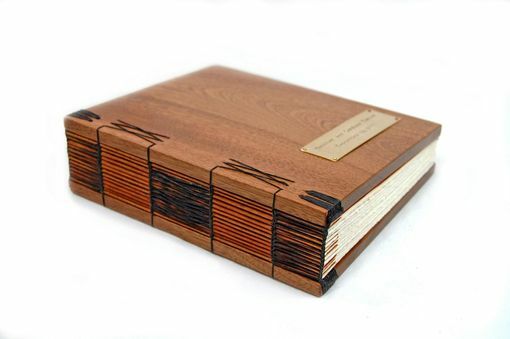 It measures approximately 8 inches high by 6 inches wide with 60 hand torn pages (120 front & back) of medium weight acid free paper. 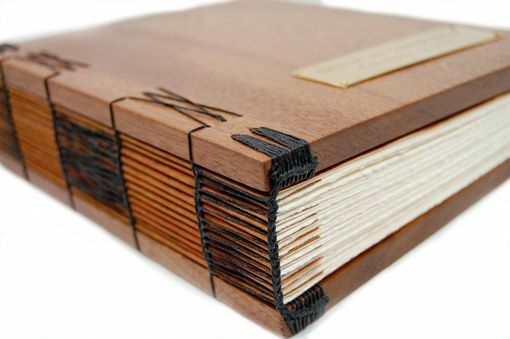 It is sewn in the coptic style with sturdy waxed linen thread complete with headbands and will lay completely flat when open. 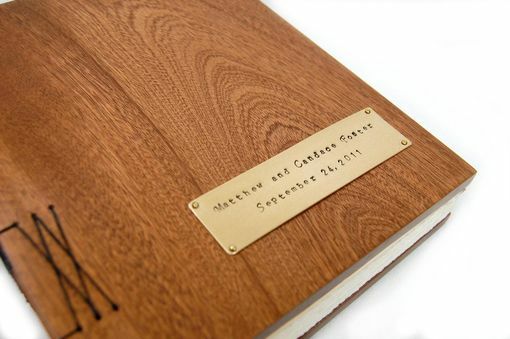 The book is personalized with names and date hand stamped on a brass metal plate. 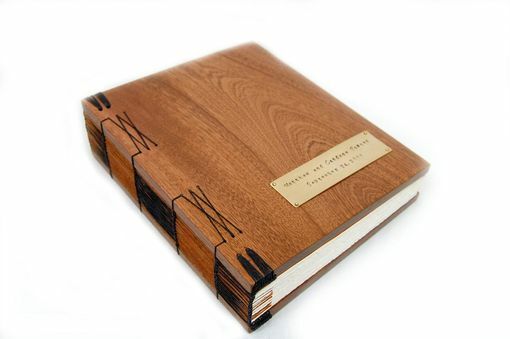 The metal plates are also available in silver and copper.